This month marks the fourth month of the relationship advice column that I write for the Tampa newspaper Insight Tampa. If you missed the previous columns and are interested in reading, go here. Thanks to those of you who have given feedback on the blog and Facebook. Keep in mind as well, this is not a Christian paper and I am instructed not to answer from the Bible, or my role as a pastor. I write this to you with a broken heart as I’ve recently discovered an affair my husband of 22 years has been involved in. I am willing to go to counseling and make attempts to put things back together but I am not sure he is willing to sever ties with the woman he has been involved with. 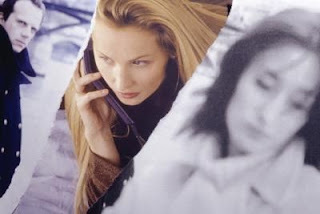 There is always an excuse of why he needs to have some kind of contact with her even if it’s just to return something that was hers or make a phone call about mutual business dealings. (They both work in the same field.) I know more is going on than I even realize in the situation and I believe in his heart he wants to be with her. But, he’s still with me. Why would he still be with me if he really loves her? How do I move on with this? It’s so traumatic for me, I’ve had more visits to the doctor in the past month than I have in several previous years combined. I know one thing - things can’t go on the way they currently are. Well, they can, but your health would seriously be at stake, both emotional and physical. So, what are you going to do? That’s the question here for me -- not what your husband is going to do. The first thing I implore you to do is rid yourself of any thoughts that you are responsible for your husband’s behavior. Perhaps your marriage had weaknesses, maybe even big ones. Every marriage has issues -- none of us is perfect. No matter what happened in the relationship, or how many issues there are, it is never okay to resort to infidelity to solve your marriage problems. To do so not only shows immaturity, it also indicates serious lack of character. Hopefully you are not blaming yourself, but if you are - stop. Don’t try to figure out your husband’s behavior - it will never make sense to you. There are a plethora of reasons your husband may remain with you while still maintaining a relationship with this other woman. My hunch is that one of those is shared history. Most people don’t realize the power of shared history in a relationship. Your husband has lived over two decades with you as his partner in marriage and in life and despite his feelings for this other woman, walking away from that will be difficult. You have had 22 years together and undoubtedly weathered many storms together and had memories good and bad. He doesn’t have any of that with this woman -- all he has are some temporary thrills. I say temporary because he doesn’t pay the bills with her or clean up messes with her -- yet. If he stays with her, a rude awakening is in store when he starts living real life with her. Here are the facts -- life isn’t easy for anyone and no one including your husband gets a free pass. He needs to make a decision and own that decision and all the consequences that are certain to come from either choice. Having to do this has been delayed, as he is living an existence with both you and this other woman. That needs to come to a close but thus far, no one is forcing him to make that choice. Many times the resolution we so long for is a difficult decision just waiting to be made. Right now your husband has access to you and access to this other woman. Whether that continues it up to you. You can’t remove his access to the other woman but you can curtail his access to you. Giving him free rein to come and go as he pleases relationally only encourages this unacceptable option he has now chosen. If your husband is faced with no discomfort in the situation he has no motivation to make a decision either way. So, let’s say you force his hand in making the decision and he makes the decision to stay with you…what will this mean for him? He will need to understand that earning your trust is a process -- one that takes significant time. He will need to be prepared to break off ties with the other woman 100% and even change jobs if necessary. This may be something your husband intensely fights because his identity and happiness may be so tied to his work, as is the case with many men. However that’s his problem, not yours as he has created this scenario. I advised another woman who was going through your same situation whose husband worked in an office with the woman he had an affair with, and although he recommitted to the marriage and said he would leave the other woman, he was not willing to give up his job. He claimed it was the only job he ever enjoyed in all of his adult life, and to resign the only job he ever loved was unthinkable. His wife told him he should have thought of that before he crossed the line with his co-worker. Sometimes decisions will cost far more than we ever want to pay or imagined that we would pay. This is part of life. If your husband makes the decision to fully reject his relationship with the other woman and stay with you, what does it mean for you? A new normal. There is someone who speaks into people’s lives on this subject far greater than I ever could. 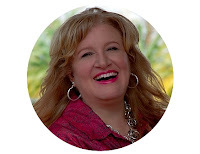 Her name is Cindy Beall and she has a blog and a book about this subject. You can find her at www.cindybeall.com. 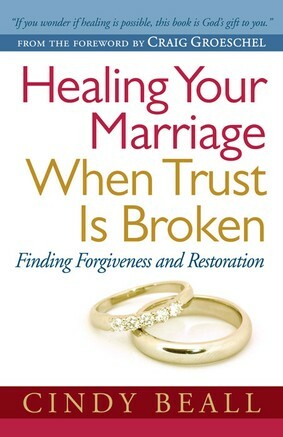 Her book is Healing Your Marriage When Trust Is Broken. I promise it will be of great help to you. What if you put the choice before your husband and he chooses the other woman? It’s vitally important that you do not blame yourself for your husband’s bad behavior. These were his choices. End of story. Moving forward and placing yourself in position to heal is key. Time doesn’t heal all wounds. Only time plus putting yourself in position to heal will work. My prayers are with you as you move forward.